When you are getting ready to have portrait photos made of your child or children in a photo session, there are measures you can take to ensure that you get the best results. With a little understanding of what to expect in advance of the day, you will be able to effectively participate in the process without inadvertently causing problems for either the professional child photographer or the child, or both. Here you’ll find some of the most important considerations for your upcoming photo session for your child that will ensure the best results from the shoot, and leave you satisfied that you had professional photographs taken of your little ones. 1. The Hesitant or Non-Cooperative Child. When your child is generally timid and reserved as well as simply not willing to comply, you should prepare him or her by avoiding rushing, pushing and placing any kind of pressure on them. A relaxed parent is the best way to circumvent more problems when the child is in front of the camera. Show your child that you are entirely patient and willing to wait until he or she is ready. A good photographer who is used to working with children will understand this and will have factored in time, especially if you explain your child’s temperament in advance to them. Try to step back and allow a little discourse to take place between your photographer and the child without your intervention. They can develop a positive dialogue that is important to get the best cooperation from your child. Avoid urging your children to do this or that. A good child photographer has developed a strategy for working with some of the most resistant kids, so allow them to work their magic. The keyword is “space.” Space yourself a healthy distance from the action, and let things happen at the child’s pace. 2. Keep it Simple. In photographing children, it’s best to keep pose variations to a minimum. An experienced NC child photographer will begin with the most important poses, and know how to work with the short attention spans of little ones who can only pose for so long without going bonkers. 3. Let Your Child do the Talking. Often, many parents over-zealously answer for their child when the photographer asks a question. Getting the child to open up to a casual conversation is a method a good photographer will engage in to help him or her open up to them. 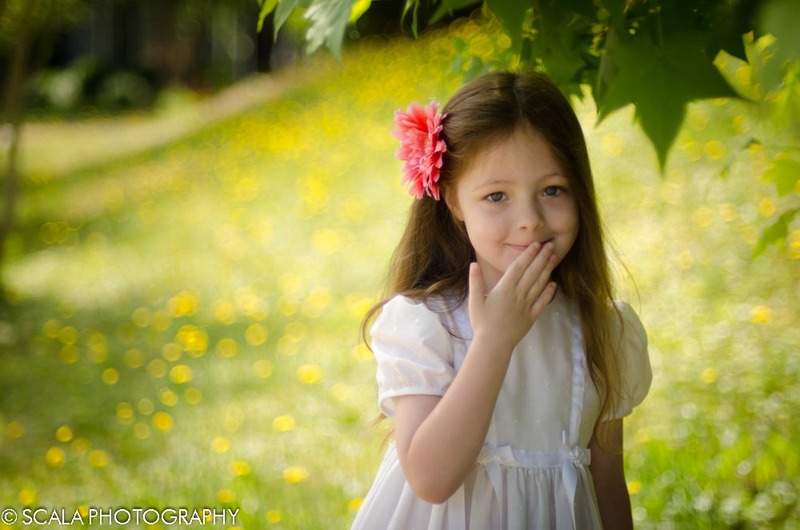 The photographer can best assess the level of progress they are making in helping the child to feel comfortable if the parent doesn’t interrupt the dialogue. 4. Smile, Jimmy! One of the worst things to tell a child when having their portrait made is to “smile.” Leave this up to the photographer. More often than not, a child who is told to smile will produce some semblance of a very artificial and fake smile. The photographer should be able to produce a real smile from funny and goofy interactions that create a humorous response from your child. 5. Bring Stuff! Feel free to bring in one to three outfits for your child’s photo session. Include some accessories like hats, gloves, jewelry and hair ornaments. If there are any special props you would like to include, bring them as well. But don’t forget to keep it simple and keep your expectations simple, too.